Heat lime juice and sugar in a small saucepan over medium heat until the sugar is dissolved. Remove from heat and let cool. 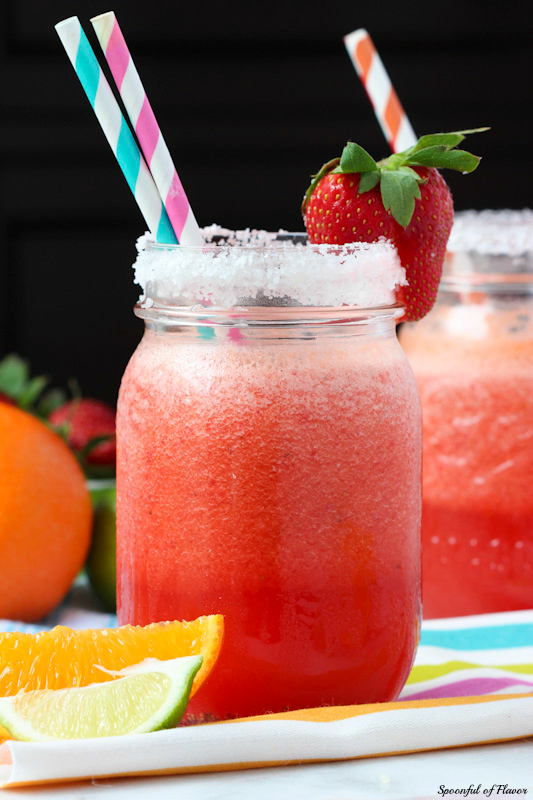 Place lime mixture, orange juice, strawberries, tequila and 1 cup of ice in a blender. Blend on high until smooth. Add more ice and blend, as desired. Dip rim of glasses into extra lime juice and then into salt or sugar, if desired. This recipe can be adapted to suit your taste. Add more fruit, ice or sugar, to taste.